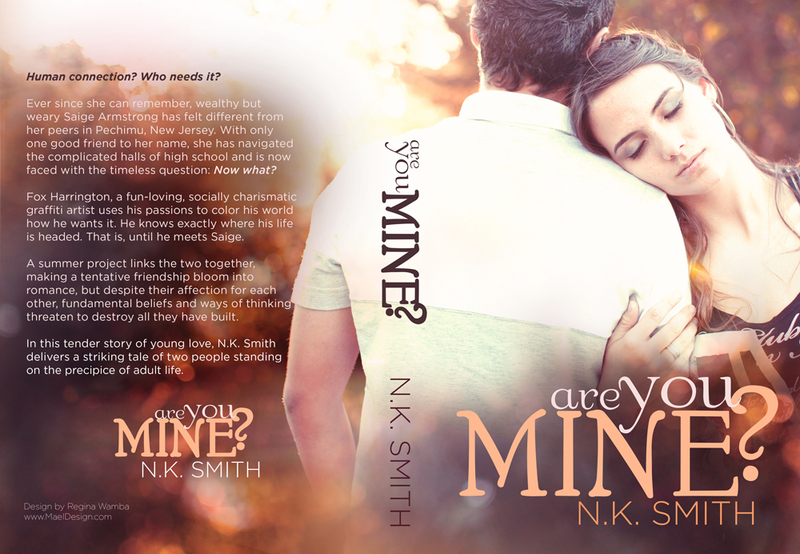 coming aug 2013: self published novel by N K Smith. I’m very exceited about self publsihed works – they’ve opened up the reading market to so many new styles for we avid readers. I’ve read some real gems – yes, some dross too but thats what happens and I have noticed over the last year that authors have been much more vigialnt about basic mistakes in grammar and spelling that used to proliferate and make so many works unreadble even if they were fantastic. I think of authors like J K Rowling who had a huge clutch of rejections from traditional publishers before a small one took the chance. If she hadn’t persevered then no Harry Potter – and miliions of kids would have missed out. With the advent of ebooks and self publshing authors can now do it themsleves if they choose and not rely on being taken on my mainstream publishers. Thats got to be good for them and for us readers who get to read books that may never have seen the light of day. His weight on me is new and wonderful, and when his lips find mine, I’m sure there’s nothing better in the universe. He moves his mouth lower and his tongue touches the hollow of my neck. I can’t stop shivering. I close my eyes when his lips are back to mine, and I tighten my arms around him. There’s something frenetic, yet measured in the way he kisses me. It’s not hard to figure out that I’m the wild frenzy, and he’s the calm, dignified restraint. I can’t move much because the weight of him limits me, but I’m able shift just enough to free my legs. It’s instinctive to wrap them around his waist, but that brings about a whole other rush of sensations. I inhale deeply the moment his lips part from mine, but it’s only a moment of freedom. Fox’s tongue sweeps out over my bottom lip, and it’s all I can do to let out my breath in a slow, but stuttered exhale. It’s crazy how much I want him. It’s insane how just being with him changes everything.